Kilrea Golf Club was founded in 1919, and is situated a half mile to the south west of the town. The original undulating inland course, is one of the driest to be found. 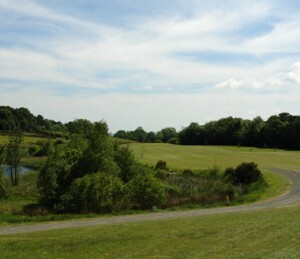 Recent extensions to the course, whilst reclaimed from bogland, are also well drained, and the course is often open when others have succumbed to the Irish climate. 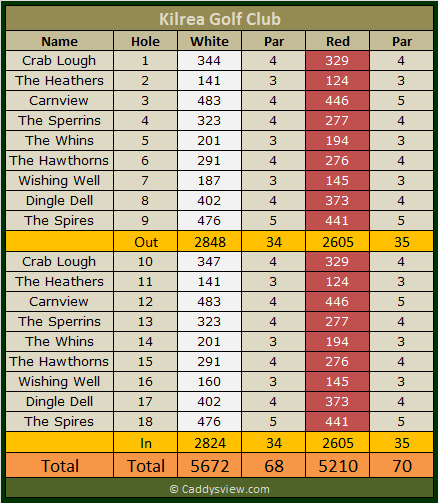 Extended in recent years to 5672 yards long, it is longer than the typical 9-hole course. 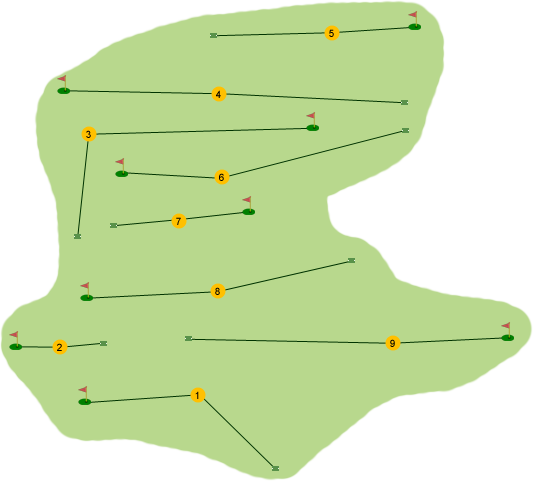 Despite the extra length, accuracy is still required off the tee to give a fighting chance of par at most holes. Generally, the course has tight fairways and small greens.